A document management system is software that sits between the file system and the application to arbitrate how documents are stored. For example, without a document management system if you save a document in Word, you will be prompted to navigate a folder structure to get to where you want to be, then enter a file name and then save the document. 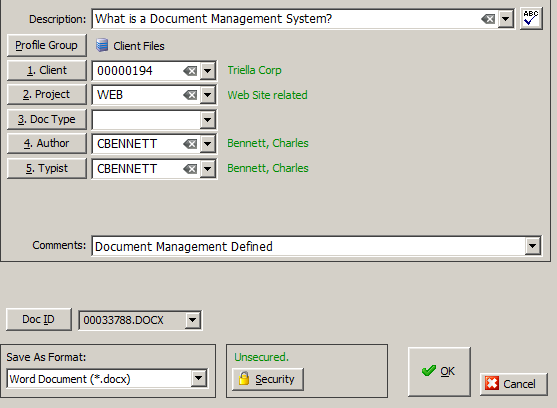 Whereas in the first example, a user can save documents anywhere, with document management, the user is forced to conform to a common file structure. Security – Ethical walls can be established which prevent users from seeing even the name of a document or folder for which they should not have access. 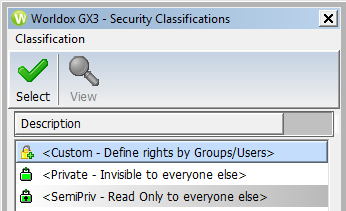 Consistent Filing – Worldox users only have a defined set of selections for saving documents. 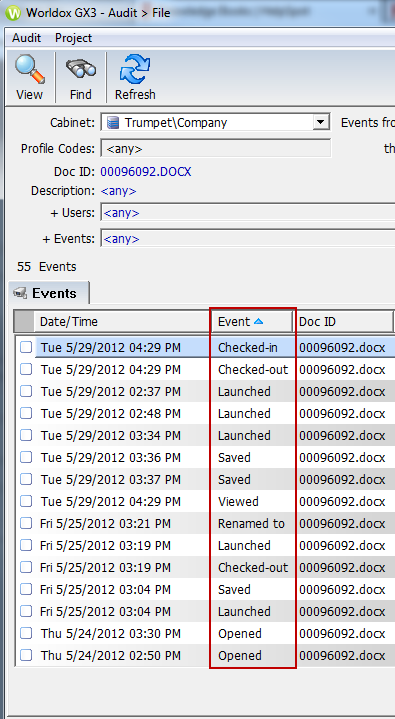 Because of this, there is much more consistency when saving documents. Consistency makes things a lot easier to find. Version Control – Up to 99 versions of a document can be created without having to invent fancy names for each version. Searching – Search the full text of the document or any of the defined fields and get results back in seconds no matter how many documents you have. Email Sharing – Cut down on the size of your email and share email with others by putting email directly into Worldox without losing any fidelity of the email. Auditing – The actions taken on a document are all recorded and stored historically. If you want to know that someone copied a document or printed it, for example, the audit trail will tell you who did it. Store Multiple Formats – Store voice mail, fax, photos, movies and of course documents all in the same folder as the matter being worked on. Worldox provides a one-stop shop for submitting and consuming documents. Document Retention – If you have regulatory requirements to dispose of documents after a certain period of time Worldox can support retention periods that meet your requirements. Retention can be triggered on almost any of the profile fields. Charles Bennett is the Principal Consultant at Triella, a technology consulting company specializing in providing technology assessments, consulting, maintenance services and CIO-related services to small and medium sized firms. Charles can be reached at 647.426.1004. For additional articles, please visit https://www.triella.com/publications.html. Triella is a Citrix Partner, VMware Partner, Microsoft Small Business Specialist, Microsoft Silver Partner, Dell Preferred Partner, BlackBerry Alliance Partner and Authorized Worldox Reseller.